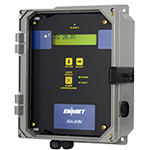 ENMET offers a wide range of products for hospital applications designed to meet medical air systems monitoring requirements including compressed air line monitors, medical gas verifiers, MRI room or facility ambient air oxygen monitors, portable single and multi-gas detectors, continuous multi-channel fixed gas monitoring systems with remote sensors and sample draw capability. Analyzers are supplied for measuring CO2, CO, oxygen deficiency and abundance, methane, nitrous oxide, anesthesia gases, dew point, hydrocarbons, and many toxic gases including ETO, Cl2, O3, and formaldehyde. 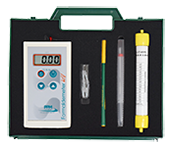 Many of these medical air monitoring systems are designed to meet OSHA monitoring requirements for Grade D breathing air and NFPA 99 Medical Air System Guidelines. 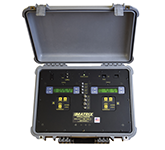 The ISA-60M controller with remote MRI-5175 oxygen sensor/transmitter is specifically designed to continuously monitor for oxygen deficiency in a Magnetic Resonance Imaging (MRI) facility.